Before leaving Florida for the Caribbean we prefreeze enough meat for about six months aboard. 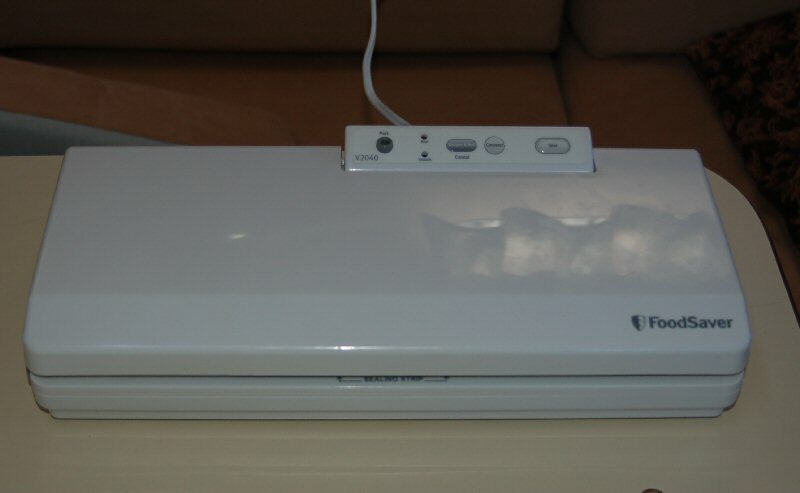 To protect the meat from freezer burn we use our Foodsaver an d seal everything. We carry the meat with us when we fly back to Grenada and transfer it to the boat freezer once we relaunch. 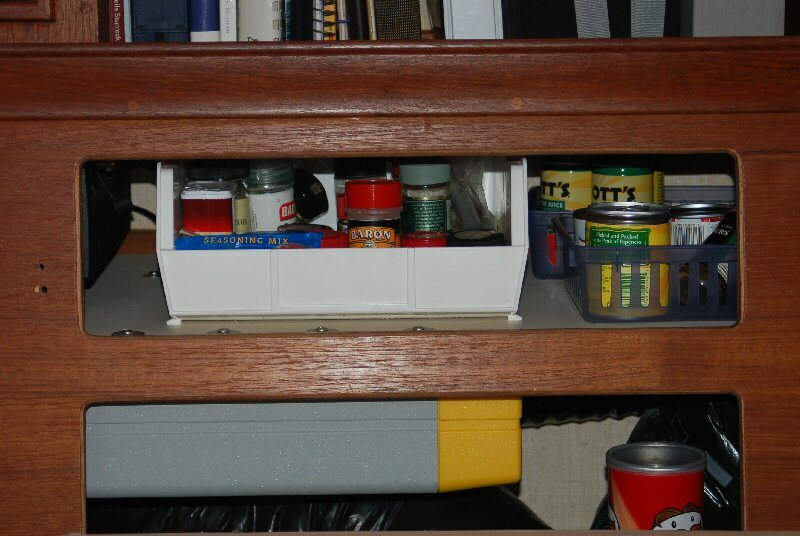 After we are back aboard we use the Foodsaver to seal any new purchases, meat, cheese, grains, and even boat parts. As part of our provisioning we purchase six three pound cans of coffee from CostCo. After opening a can of coffee we transfer some to a small storage container and then seal the remainder in a Foodsaver bag. 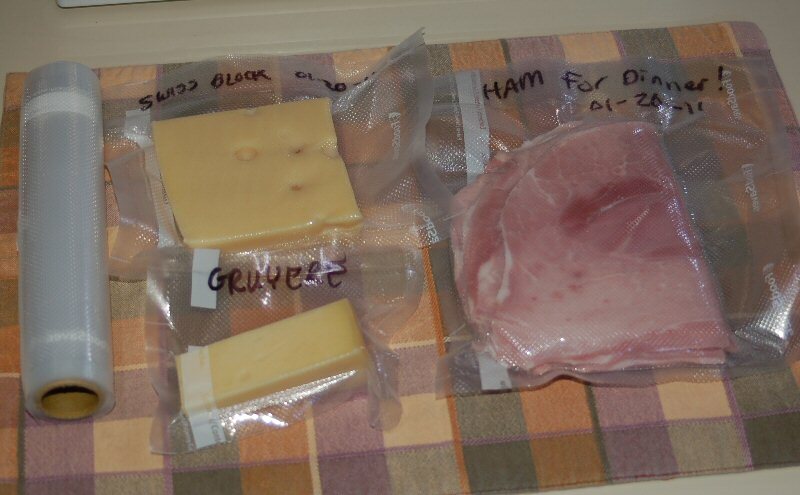 Picture of some cheese and ham that we sealed after a shopping trip to the grocery store in St Lucia. To help keep things in the reefer organized we store like items in homemade drawstring bags. Veggies in one bag, cheese in another, and coldcuts, etc. 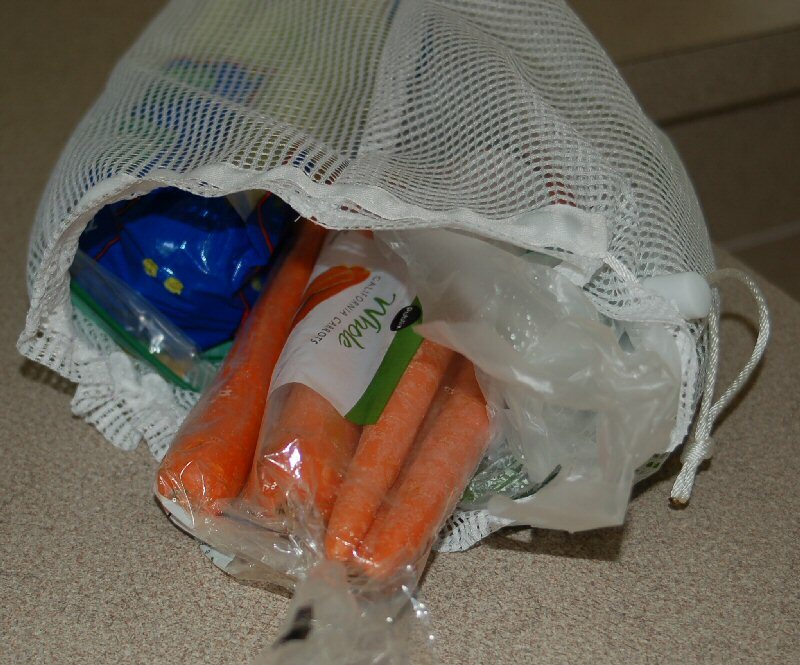 Since taking this photo we’ve gone to color coded bags – green for vegies, yellow for cheese, and red for coldcuts. Using the storage bags helps prevent the eventual migration of everything to the bottom of the reefer compartment and prevents wasted space that is typical with plastic bins. 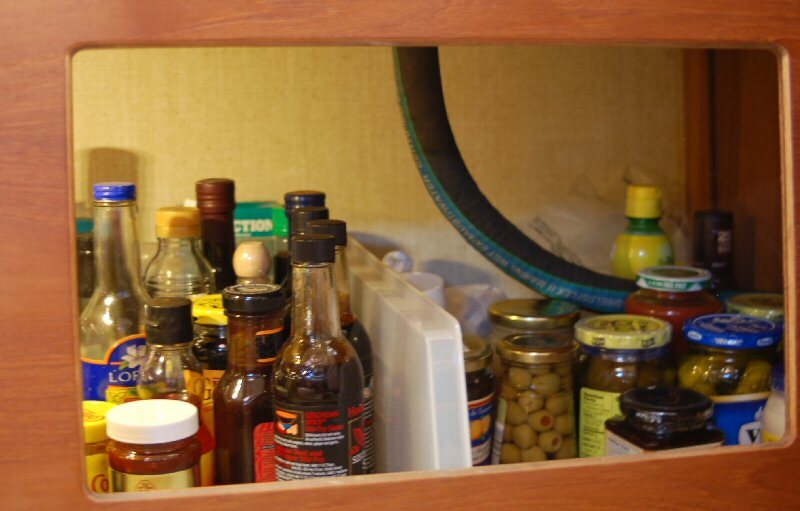 This is Stowage location 8L and the link to the Provisions inventory file.